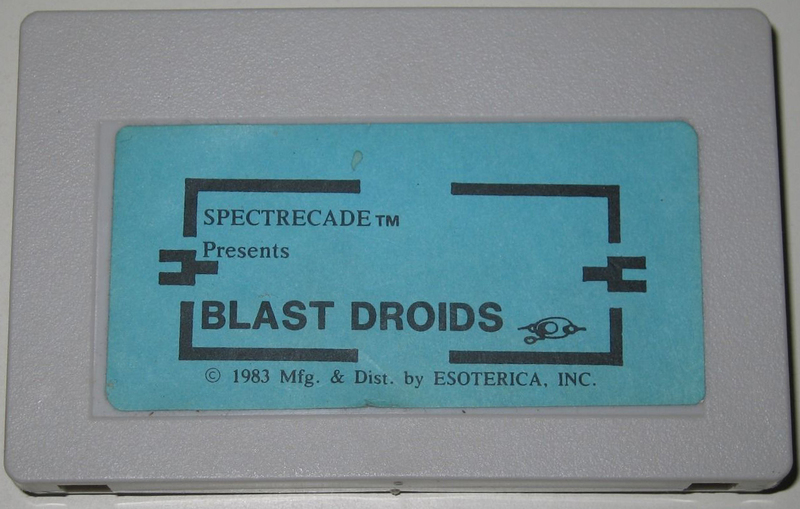 In episode 8 of the Bally Alley Astrocast, Paul, Michael and I review the 4K Blast Droids cartridge that Esoterica released in 1983. This game was written by Dan Drescher, and J.P. Curran. 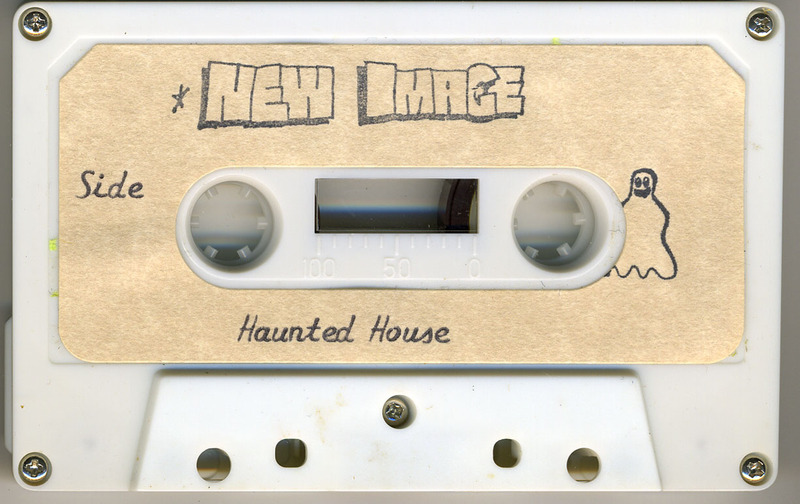 We also review the BASIC game Haunted House released by New Image in 1981. Paul and I discuss the contents and programs included in the August and September 1979 issues of the Arcadian newsletter. We also read feedback from Arcadian readers that sent letters and postcards to Bob Fabris concerning the July 1979 survey question that asked if users would purchase a third-party keyboard and RAM upgrade. Lastly, we cover about ten letters that cover general topics that were sent to the Arcadian from late July to September 1979. Chris and Adam play and compare the cartridge and BASIC versions of Artillery Duel in a video..
G.I. 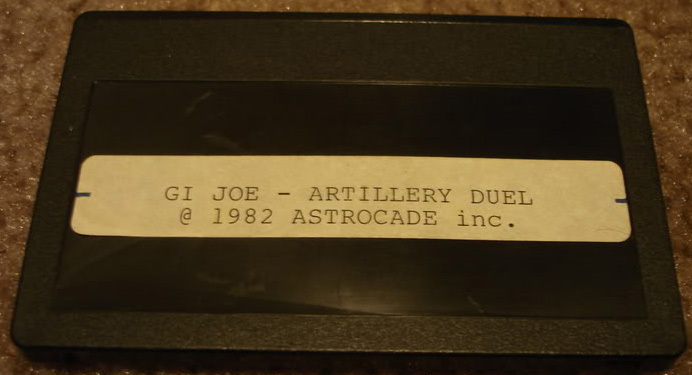 Joe - Picture of prototype version of Artillery Duel. Astrocade Videos - Astrocade videos created by William Culver (aka "ArcadeUSA"). Blast Droids Disassembly - This disassembly was started November 30, 2016 by Adam Trionfo. Most of the game's graphics have been found, but much of the code has not been disassembled. 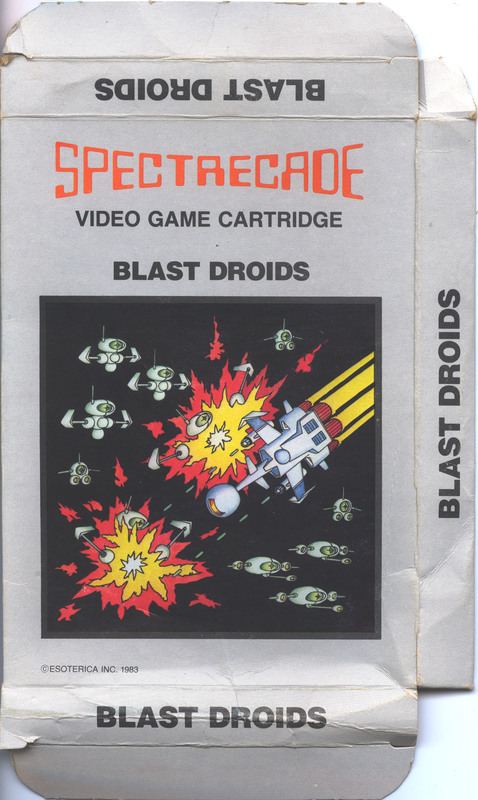 Blast Droids Box (Front) - The Blast Droids packaging. 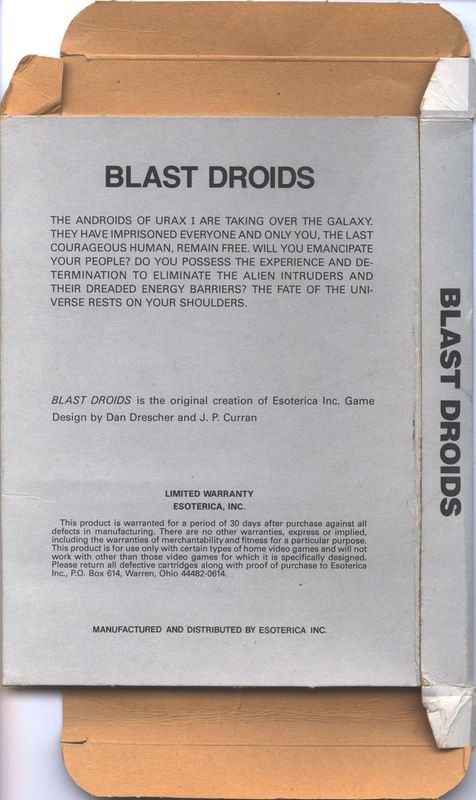 Blast Droids Box (Back) - The Blast Droids packaging. Blast Droids Review - This review first appeared in Niagara B.U.G. Bulletin, 1, no. 5 (October 5, 1983): 13. Esoterica Tape Boxes - Esoterica's quality boxes and packaging for their tape releases. Astrocade High Score Club (Round 1) - Final Standings - The final round of season one's Astrocade High Score Club ended February 6, 2017. 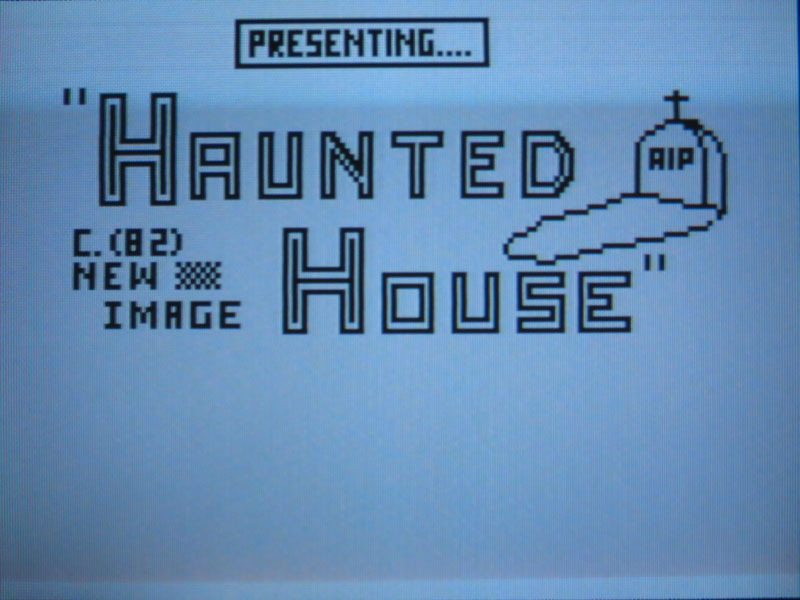 Haunted House - "AstroBASIC" 2000-Baud version. Haunted House Bally BASIC Instructions - These are the program instructions and BASIC listings for New Image's Haunted House. This game is very unusual because it is made up of nine different loads, each of which is a separate BASIC program. Treasures of Cathy ("AstroBASIC" Program) - This programs, by John Collins, seems like a fairly complex dungeon-crawler type game. Arcadian 1, no. 9 (Aug. 18, 1979): 69-76. - The ninth issue of the Arcadian newsletter. Arcadian 1, no. 10 (Sep. 31, 1979): 77-84. - The tenth issue of the Arcadian newsletter. Arcadian 1, no. 10a (Sep. 31, 1979): 80a. - A supplemental page to the tenth issue of the Arcadian newsletter. TV Output Notes by Marc Calson (possibly a misspelling of Mark Carlson). - The four pages of this document were created using the output of a short 10-line, BASIC program. Whoever sent this document to Bob methodically noted down four sets of numbers for each ASCII character. I can't say that I understand the listed decimal number information, but it seems to nicely supplement the August 1979 issue of the Arcadian's music coverage from Robert Hood (American Concert Frequencies) and the second part of Chuck Thomka's music tutorial, The Music Synthesizer. Hit the Pedestrian by Sebree's Computing (Timothy Hays) - This is a hand-written type-in program listing for Bally BASIC. Typed instructions are included. This program has not be digitally archived. Pictures of the Viper RAM Expansion - This hardware was released by Alternative Engineering. Aldo Trilogy by Dave and Benjamin Ibach - Three PC shareware titles for DOS released 1987-1991. These games do not run on the Astrocade. These games will run well under Windows when using a program called DOSBox (an emulator, of sorts). The games included are: Aldo's Adventure, Aldo Again, and Aldo's Assault. While these games won't run on the Astrocade, they do give a continued history of what Dave Ibach did (with his son) after he moved on from the Astrocade. The main character in this series of one-screen platform games looks suspiciously like someone named...Mario. Give these games a try-- you'll like 'em. The Bit Fidder's Corner by Andy Guevara - The Bit Fiddler's Corner is an Astrocade machine language programming tutorial that ran as a series of serialized articles in the Arcadian newsletter in 1983 and 1984. The author, Andy Guevara, programmed the Machine Language Manager cartridge for the Bally Arcade/Astrocade. This tutorial complements that cartridge, but has a general focus so this information can be used without reinterpretation by Astrocade assembly programmers, or those wishing to learn about the machine. The Music Synthesizer by Chuck Thomka - A tutorial on creating sound effects for the Astrocade. Black Box by B. Reany. - This Bally BASIC (300-baud) program was printed on page 74 of the August 1979 issue of the Arcadian. Black Box is a sort of Battleship game where the computer hides some "atoms" in a grid and you have to locate them. Use the diagram for clues. Space War by Dave Ibach - A 300-baud, Bally BASIC game that was printed in the September 1979 issue of the Arcadian. It's a neat idea for a two player game. Each player has a ship on one side of the screen, and can move up and down and fire at any angle. However, the ships are invisible, so you can only figure out where your opponent is when they fire a shot. XY Tutorial by Timothy Hays - A 12-page tutorial on the Bally BASIC XY command for exceptionally well controlled graphics. XY Tutorial Programs by Timothy Hays - This archive includes the Bally BASIC programs included with the XY Tutorial document. The six programs included are: 3-D Forward Simulation Above A Flat Plane, Cartesian Coordinates To XY Values Routine, Demonstration Program #2, Demonstration Program #2 (with Additions), Demonstration Program #4, and RND XY Value To Perspective Point. "Assume that the Bally keyboard is available with full capacity (reference page 21). Are you ready to pay $650 for it? "Assume that the Bally keyboard is available with partial capacity (reference page 54). Are you ready to pay $350 for it? "A postal card with numbers down the side and yes/no opposite each is all that is necessary, but suggestions are certainly welcome. Also, tell me the model number and serial number of your machine if you haven't done so yet." Letter from Paul Zibits to Bob Fabris. (Approximately July/August 1979). Letter from Kirk Gregg to Bob Fabris. (Approximately July/August 1979). Letter From "Levin" to Bob Fabris. (July 31, 1979). Letter from M. Lewitzke to Bob Fabris. (August 2, 1979). Letter from Richard Bates to Bob Fabris. (August 4, 1979). Letter from Terry Kersey to Bob Fabris. (August 10, 1979). Letter from John Hurst to Bob Fabris. (August 11, 1979). Letter from Kelvyn Lach to Bob Fabris. (August 19, 1979). Letter from L. Kingman to Bob Fabris. (August 24, 1979). Letter from Curtis Schmidt to Bob Fabris. (August 28, 1979). Letter from Ken Stalter to Bob Fabris. (September 3, 1979). Letter from David Templeton to Bob Fabris. (September 5, 1979). Letter from Al Nowak to Bob Fabris. (September 6, 1979). Letter from George Tucker to Bob Fabris. (October 16, 1979). Letter from Chuck Thomka to Bob Fabris. (1979, probably late January). - Chuck sent two programs with this letter: Modified Player Piano for Learning Aid on the &16 - &23 Commands and Leaning Aid for "&" Command. It seems that these two programs helped Chuck figure-out the sound capability of the Bally Arcade. He went on to use this information to write the Music Synthesizer tutorials in the July and August 1979 issues of the Arcadian. Chuck describes the printer that he uses to create the BASIC listing forms, "It actually doesn't take too long to create a form on what I use, which is a cross between a computer and a very high-speed line printer. It puts images on paper with laser optics utilizes Xerox xerographics. It's really quite an impressive machine. As an example of what can be done with it, well, if you can envision an 8 1/2" x 11" blank piece of paper and another 8 1/2" x 11" completely black piece of paper, this represents the extremes of the machine. Everything in-between (just about) can be done by this machine. That includes all different font sizes and styles, logos, lines and even signatures! All this with about the resolution of 300 dots to the inch. The speed of this machine is two full pages a second. If you wanted to print with a reduced print style and also have put two sides of data on the same side of the paper, this machine would print at equivalent speed of 36,000 lines per minute! Like I said, a very high-speed line printer!" Leaning Aid for '&' Command by Chuck Thomka. - A five-page program that is purely Chuck's own concoction. This program uses all but about 150 bytes of memory and is somewhat involved, but is informative as to the workings of all the possible '&' commands. Modified Player Piano for Learning Aid on the &16 - &23 Commands by Chuck Thomka - Submitted to Arcadian on January 5, 1979, but previously unpublished. A single-page modification to an existing Bally program which allows easy and quick changes to '&16' through '&23 commands [the sound ports]. Dealers of Lightning: Xerox PARC and the Dawn of the Computer Age by Michael A. Hiltzik - Chuck Thomka works worked a Xerox, and he mentioned what sounds like a laser printer in his letter. This is an Amazon.com link to Dealers of Lightning, a book published in 2000. The creation of the laser printer is discussed in some detail here. It "is a fascinating journey of intellectual creation. In the 1970s and '80s, Xerox Corporation brought together a brain-trust of engineering geniuses, a group of computer eccentrics dubbed PARC. This brilliant group created several monumental innovations that triggered a technological revolution, including the first personal computer, the laser printer, and the graphical interface (one of the main precursors of the Internet), only to see these breakthroughs rejected by the corporation. Yet, instead of giving up, these determined inventors turned their ideas into empires that radically altered contemporary life and changed the world." Letter from Tracy Crook to Bob Fabris. (About 1979). - "I wanted to let you know where I am on the Bally expansion. So far, I've added 16K RAM, one serial port, two parallel ports and an ASCII keyboard. These all work very well. What has not worked so well, is some special logic used with the non-mask will direct. With this, I had hoped to use the Bally BASIC unmodified with the keyboard I added. As it is, I can input data from the keyboard under basic control (or machine language), but program entry and editing must still be done through the keypad. I can't get this to work, I guess Bally BASIC (or some other language) could be placed in RAM. A commented listing of Bally BASIC would be invaluable at this point. [...] With that info, we could tailor it a bit and put it in RAM. "Another interesting possibility open by having RAM memory available is the ability to load it with data from any of the game cartridges (which were previously dumped onto a cassette tape) and then switch this memory into the bank normally signed the plug-in cartridge. This is quite easy to do. At this point the Bally would perform exactly as if you had plugged in the game cartridge that the data came from." [The Blue Ram, Viper and Lil' White RAM expansion units all allow for this.] "The end result would be that you could have the entire library of Bally games in a couple of cassette tapes. Bally might not be too wild about this idea, I assure you it would work." "In the meantime, in order to ease programming the Bally, I use another one of the microcomputers I own, which has an ASCII keyboard, to write Bally BASIC programs on and then dump them on tape in a format compatible with the Bally. Doing it off like this has some disadvantages, but it sure beats that key pad." "Haven't done much on it lately, as my Bally was struck by lightning about five weeks ago, and it still not back from the factory." Letter from Ed Mulholland to Bob Fabris. (July 1, 1979 / July 23, 1979). - In the July 1'st letter, Ed says, "The schematics to our Ballys show a 10-pin and a 26-pin port in addition to the IEEE-488 port. My machine did not have 26-pin port as shown in the photo on page 14 of the [Bally PA-1] service. This would still be only a small inconvenience because the pin numbers and functions as shown on the schematic." The second part of the letter (dated July 23) shows how the 10-wire 24-key keypad is arranged. I think that this information is meant to help explain how to wire a 63-key "full size" ASCII keyboard in parallel with the 24-key keypad. Letter from Robert Dahl to Bob Fabris. (July 29, 1979). - Mr. Dahl suggests that future issues the Arcadian leave room so that a hole punch can be used so that the issues can be stored in a binder. He says, "They are well worth saving." I agree! Robert Dahl notes that he was able to order the Amazing Maze/Tic-Tac-Toe cartridge from Montgomery Ward's catalog. He got the cartridge in just three days. He adds that a fellow, who sells the Arcade and its accessories, tells him that he has a standing order for all arcade items, but gets more promises than anything else from a wholesale distributor in Milwaukee. This man had been trying to get the Amazing Maze cartridge ever since he first heard about it and he had yet to get it. Mr. Dahl figures that Bally's distribution must be out of whack. Mr. Dahl has typed in various versions of Slot Machine. He talks about three that he has used comparing and contrasting differences between them. Letter from Andy Guevara to Bob Fabris. (July 30, 1979). - Andy Guevara wrote several programs that were published in the Arcadian and Cursor/BASIC Express newsletters. Andy programmed the Machine Language Manager, a 2K cartridge that was released in 1982 by The Bit Fiddlers. He released a few tapes, including Candy Man and Chicken, two games released on tape that were written in mostly machine language. He wrote Ms. Candyman and Sea Devil, both of which are 4K cartridges that were released 1983 by L&M Software. Mr. Guevara also wrote The Bit Fiddler's Corner, an Astrocade machine language programming tutorial that ran as a series of serialized articles in the Arcadian newsletter in 1983 and 1984. Andy just received his first stack of Arcadian newsletters. He has had his Bally arcade for five months and never dreamed that so much information could be further developed. He has dumped the Baseball cartridge, and is pleased to see that other people have made ROM dumps too. Mr. Guevera is looking into expanding his internal memory from 4K to 12K of RAM with a single IC designed by Harris Semiconductor. He goes into detail about how this might work. Andy has come up with a solution for Bob to be able to print programs. He provides details and a schematic on a device that can be used that will use a UART to allow the Bally to print. Although Andy has only had his Bally Professional Arcade model BPA-1100 for five months, the innards have already had to be changed twice. Letter from Richard Dermody to Bob Fabris. (July 31, 1979).- Richard's interest has been piqued by the announcement of the keyboard project. So much so, that he has already gone out and bought a keyboard for the project. He says, the "glimmer of a future for the Arcade as a computer [...] has prompted [him] to retain his [Arcade] with hopes for the future." Richard notes that while he understands the difficulties that Bally may be having with the FCC, he has noticed that other companies, such as Apple, have made significant progress in the same time period since the Arcade was first announced. Richard is on his second Bally arcade. He had to return his first one to Montgomery Ward as "it tended to self-destruct after being in operation for a while." Mr. Dermody hopes that reviews of the Bally cartridges will be in future issues. There is no local retailer for these items where he lives so his only resort is mail-order. He would like to have some idea of what he is ordering before he places an order. Letter from Guy McLimore to Bob Fabris. (July 31, 1979).- Guy gives an unqualified "yes" to all the survey questions that Bob asked the previous issue of the Arcadian. Guy says that he wants and needs a keyboard badly. An interesting bit here is that Ken Ballard, the owner of ABC Hobbycraft, has commissioned a professional hardware/software man to develop a 64K keyboard memory expansion to be sold commercially. The unit is still in the planning stages, but [they] hope that it will be ready by December." This seems overly optimistic, since it is nearly August already. I don't recall ever hearing about this from any other source. It is interesting that so many people wanted to build, create or purchase a memory expansion/keyboard for their Bally unit. Guy really enjoyed Chuck Thomka's synthesizer tutorial. He found the two accompanying programs very useful. He does wonder how Bell Telephone feels about the programs, however. He notes that if you add the buttons A-D to the Touch-Tone dialer program (Touch Tone Simulate), then you have a semi-efficient Black Box for receiving free telephone calls. The Touch-Tone dialer doesn't work in Guy's local area. He thinks that Indiana Bell has an acoustical filter that prevents Touch-Tone signals from being input to the microphone from the handset. By popular demand, ABC hobby craft is now accepting mail orders for Bally hardware, W&W software, Stocker Software, and Skyrocket Software (Guy's company). Guys makes an observation about the tape quality for software that is being sold through the Arcadian classified ads. It seems that the people distributing their software on tape are using cheap tapes brands which makes loading the tapes difficult. He notes that the Dave Stocker software is also available on micro cassettes. I don't know of any other Bally software that was distributed on these tiny tapes. Guy has been pleasantly surprised by the amount of response he received to the listing of his Fantasy Games #1 package in the Arcadian. Despite the fact that it is a limited program designed only for those persons familiar with fantasy role-playing games, such as Dungeons & Dragons, the program sold remarkably well! Phenomenally well, in fact, given an audience of relatively few people. Letter from Jeff Frederiksen to Bob Fabris. (August, 20 1979).- This letter is from Jeff Frederiksen, the chief engineer behind designing the Bally Professional Arcade hardware. It seems that this letter was accompanied by some hardware. The letter simply states: "The enclosed assemblies replace the 75361 clock driver, located in the oscillator shield. The failure of the 75361 is that the 6V high time after warm-up drops below 55ns causing the data chip to appear defective. If you do not have this sinking clock syndrome, replacement is not necessary. I hope you find the enclosed hardware description useful." Letter from Jeff Grothaus to Bob Fabris. (August 31, 1979). - Jeff is building his own cassette tape interface from the schematics on page 20 of the Arcadian and page 4 of the Bally Hacker's Manual. He has run into a few difficulties and is hoping to get some help. He also wonders if Bob knows if anyone else has created a working interface from the schematics. There's a handwritten note from Bob where he simply writes, "No." I find it interesting that Jeff is actually building his own tape interface. This interface would be of no use without the basic cartridge. At the time, I think, the tape interface was easy enough to get for $50. I wonder if Jeff was trying to save money, or if he was having difficulty finding the necessary hardware to use with Bally BASIC and a tape recorder. Letter from Karen Nelson to Bob Fabris. (September 10, 1979). - Karen is a programmer who got interested in the Bally when JS&A advertised it in Scientific American in 1977. She was told that she was one of the first people to get her hands on one. She was very excited about machines potential, but was disillusioned by the heat problems which were inherent in the first machines. She "burned out" two of the units. Just after she returned the second unit, she discovered that her programming instructor was doing the graphics for the Bally. She says, "Yes, folks, it was the infamous Tom DeFanti and his magic Z-GRASS." She knows Tom well enough to drop into his "Graphics Habitat" at the University of Chicago to talk intelligently about some of his projects. She also knows Nola Donato and a few other of Tom students who are working on projects for Bally. Tom has had the University of Chicago purchase eight Bally's and eight Sony TVs to teach students the basics of computers and programming. In August 1979, Tom was the chairman of a traffic seminar held jointly by IEEE and ACM/SIGGRAPH. For three nights, Tom and his crew presented new and interesting works in various areas of computer graphics (including a few by people using Bally Arcades). In addition to the seminar, a graphics experiment Expo was held and it was there that Karen met some of the guys from Dave Nutting, in particular Ricky Spiece (who developed the Football cartridge). Ricky was helpful and showed Karen some tricks (like the ports in BASIC), and he also demonstrated the graphics capabilities by loading a picture from a disk to a color monitor. In addition, his Bally was connected to a B&W monitor and a keyboard. 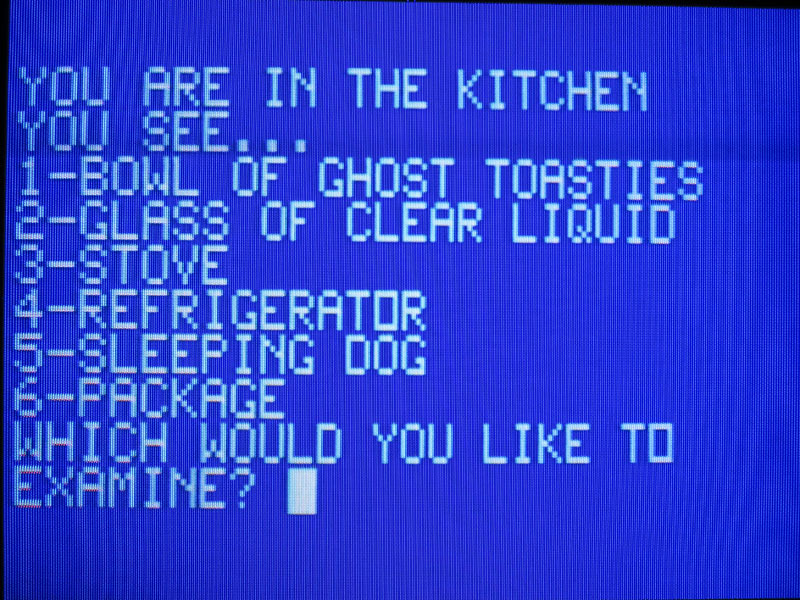 His commands appeared on the black-and-white monitor, and the graphics were displayed on the color monitor. However, the whole setup was attached with the Bally board mounted in a frame, not in the case, which leads Karen to believe that some special wiring is needed. Karen describes her experimentation with the different ports available in BASIC. Karen has recently seen the pinball cartridge demoed at the graphic seminar. She says that it looks pretty good. She heard one of the Dave Nutting guys say that he had just sent the thing off to Bally and that it should be out on the market pretty soon. Karen says that there was a demo of Z-GRASS, but that she didn't get to see it. She does note that as a student of De Fanti, she learned how to program in GRASS-- Z-GRASS's daddy-- using a PDP-11/45. Karen is glad to find out that there are other people like her who think that the Bally Arcade/computer has a lot more potential than most people give it credit for. She hopes that Bob Fabris might be able to pass on some information to whoever the marketing manager at Bally is. She would like to see the Bally advertisement computer magazines such as BYTE and Personal Computing. She would like to see Bally stress that most people buy home computers for games and that Bally has terrific controls, and that by the time people become interested in programming, Bally will have add-on module available. She also says that the graphics capabilities of the Bally have no competition; they are the best, and the Arcade is dirt cheap when compared to other systems. Rockin' Robin MP3 File - Transcribed for the Astrocade by Peggy Gladden. This song is from Astro-Bugs Club Tape #2.